If you want to learn how to affect change or become a leader to force change, this category is for you! WTFH How to affect change? Please put away your partisan party loyalty. Study the representative/candidate and be smart with your vote. On December 13, 2014 (12/13/14), the U.S. Congress passed a $1.1 trillion budget. Read the entire budget slowly, and carefully. As you read and study, remember, 99% of the issues that affect you and me are non-partisan and therefore should not be lead by a majority of any one party. Everyone must be on the Internet, have access, to dictionaries, and be agile enough to take lead on research and making calls. Read and watch all news reports and show both television and Internet. Go to (www.newspapers.com)! Look at and study the sponsors both houses of all parties. Read and study glossary and terms. Select a category and read with a magnified glass as if you are looking for something. Turn over rocks, look under rugs, open closets, and read between the lines. The easiest way to complete the above task is done by forming a study committee using conference calls, online meetings, or video conference tools. Be organized. Create due dates. Identify a leader for each committee. Be on time and committed. 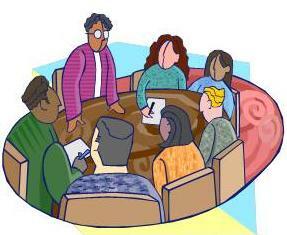 Each group takes a category and report by to the committee as a whole. Once done, take the issues to your state’s House and Senate U.S. Representative of both parties. Compare responses. If any of the federal budget categories affect your state or jurisdiction take your issues to your Governor, your state legislative members, and your city/county leaders. Get and compare their responses. Educated citizens know that their votes affects change! Start a blog, use social media, hold community meetings, write letters to your local newspaper editors, and/or find a way to educate leaders that can educate thousands. Get the attention of those you elected into office. If they support your cause, they deserve to be re-elected if not, then educate the voters and unelected them. If you can’t get them all, target one and make an example of them. Whatever you do, do not vote the ballot or the party slate. Be an educated citizen and be able to educate others. Whatever you do, don’t back down or give up. Note: In the words of Ashford and Simpson: “It don’t cost you nothing!” and guess what? Time is not on your side. Marching is ok if you want the media to pay attention. Protesting gets you noticed. If you want to affect change, the best way is to be educated on the issues and LEAD – NOT FOLLOW! Get busy! This is how to affect change!